Are you looking for kids’ activities over the school holidays? Many youngsters are spending more time than ever on screens, so inspire your kids to stay active this summer by building their strength and confidence through outdoor activity. It’s the perfect weather to hit the pool or park for some family swimming, running or bike riding. Not only will the kids love the chance to get out and about and have some fun, but you’ll benefit by spending time with them and staying active. Your family could even train for a real event, such as the Sanitarium Weet-Bix Kids TRYathlon series. If there isn’t a Kids TRYathlon event near you, plan a fun family event or invite your children’s friends to participate. Along with your training, it’s important to keep in mind that what you and your children eat and drink before, during and after exercise can directly affect how your bodies perform. Just like a car, your body needs the best fuel for it to operate at its peak. Our bodies are made up of 50-75% water, depending on body type, so keeping your hydration levels high before exercise is just as important as replenishing them after. Make sure you and your child are well hydrated before starting any exercise. If you or your child are exercising for less than an hour, there is no need to drink during that time, especially if you hydrated well beforehand. If you must drink, water or diluted juice or cordial are the best options. 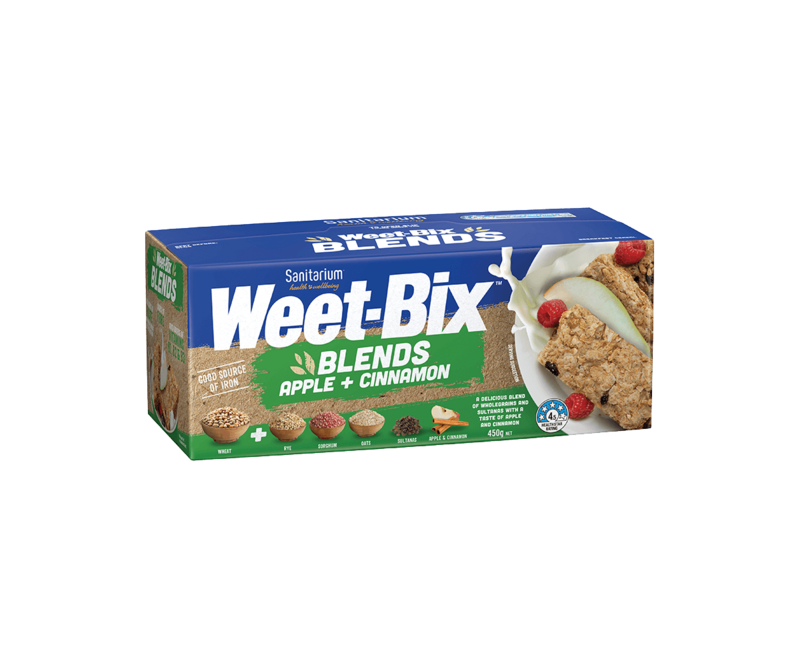 In a race like the Sanitarium Weet-Bix Kids TRY-athlon, having a sip of water during transitions or on the cycling leg are the best times. Carbohydrates are your friend! Carbohydrate is the main source of energy bodies use when exercising and carbohydrates come from energy dense foods like pasta, rice, bread and potatoes. Carbohydrate rich foods should be the main part of your diet (55%) and eating them before an exercise session, the night before or for breakfast, will help give you and your child’s bodies enough energy to get through the session. Remember, healthy bodies also need protein and fat as well. Protein-rich foods include legumes, dairy, meat and fish and these should make up 15-20% of your diet, and fat from plant sources rather than from animal fat should make up 30% of your diet. Combining carbohydrates, protein and fat in your meals will give your body the balance it needs. Generally, have a good, carbohydrate-rich meal 2-3 hours before exercise. A bread roll, sandwich or pasta is perfect! The night before a race, eat a filling dinner, high in carbohydrates to stock up your muscle fuel stores. The morning of a race? Don’t skip breakfast! Try cereal, fruit juice, toast or English muffins 2-3 hours before the race. If eating in the morning makes you feel nauseous, try a liquid breakfast like an UP&GO or a smoothie. Replenishing fluids is the most important thing to do after exercise, followed by eating foods that are high in carbohydrates. Drink water or a diluted fruit juice or cordial to rehydrate your body quickly. You should drink at least two glasses of water post-race to replenish the fluid you lose from sweat, and avoid caffeinated drinks that will only dehydrate you further. The post training meal is even more important than the pre-training meal! Not only does it replenish your body’s energy but eating the right food after exercise will help your body use its energy more efficiently. Carbohydrate-rich meals are again the most effective to replace energy stores, repair muscles and to help maintain and protect the immune system. Try pasta, yoghurt and muesli, fruit, muesli bars, rice dishes or a sandwich. Training and competing isn’t all about winning, it’s about inspiring children to develop a lifelong love of exercise and outdoor activity, which will benefit them in years to come.